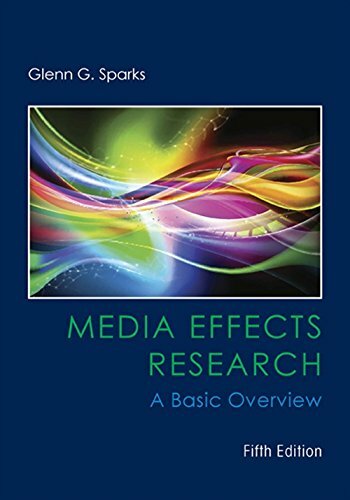 Combining intriguing examples with the latest research available, MEDIA EFFECTS RESEARCH: A BASIC OVERVIEW, 5e, helps you understand the true impact of media today. Known for his engaging, personal narrative style, the author presents media theories in the context of current research findings-giving you a comprehensive introduction to mass media's effects on society. The book clearly explains how the effects of mass media are measured and what the latest research has concluded about media's influence on our lives. Cutting-edge coverage includes electronic media's effects on sleep displacement, TV viewing and obesity research, media violence, emotions in cooperative video game play, first- vs. second-order cultivation, agenda-setting theory research, new media's effects on imitative suicides, Internet use statistics, screen time and face-to-face interaction, multitasking, and much more.